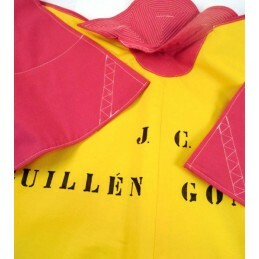 Children bullfighter's cape or capote made of fabric professional. This is a nice piece for future bullfighters. Perfect gift for baptisms, it will be a pleasant memory. 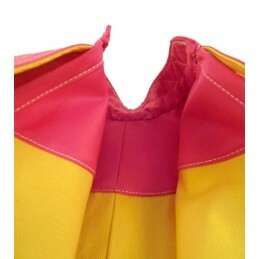 Customize the product with the name for 5,95 € or initials without cost. …The bullfighting capote is the element used for bullfighting on foot during the first two thirds of the bullfight, to receive the bull, study and put it into the picador and banderilleros?